Canterbury Park in Shakopee, Minn.
Canterbury Park's 2019 thoroughbred and quarter horse race meet, as approved Thursday by the Minnesota Racing Commission, will include 66 race dates, commencing May 3, the Friday before Kentucky Derby, and running through Sept. 14. The upcoming meet will be the Shakopee, Minn. racetrack's 25th season of live racing since reopening as Canterbury Park. The facility originally opened in 1985 as Canterbury Downs but closed shortly after the 1992 season concluded. Current President and CEO Randy Sampson, his father Curtis Sampson, and businessman Dale Schenian purchased the track and surrounding property in 1994 and re-opened for simulcast racing in May of that year. 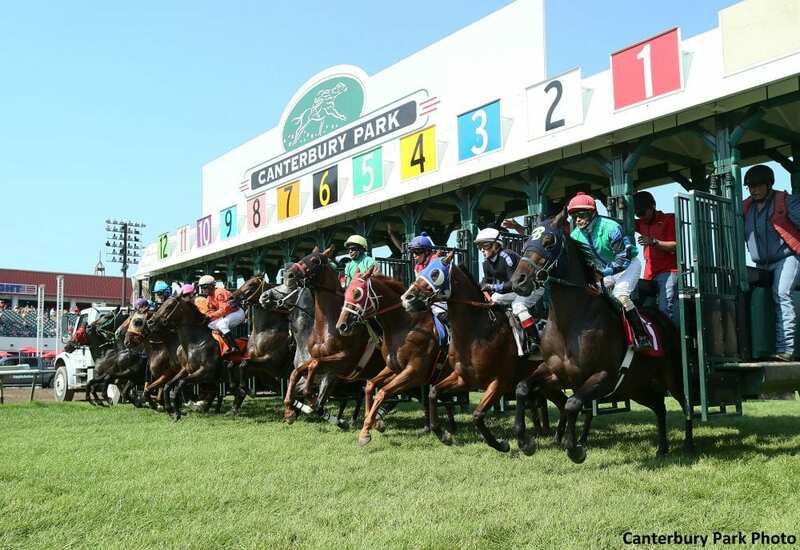 Months later Canterbury Park became one of the few publicly held racetracks in the country. Live racing returned in the summer of 1995. On Thursdays and Fridays in 2019, racing will begin at 6:00 p.m., 30 minutes earlier than previous race meets, and weekend and holiday racing will begin at 12:45 p.m. On July 3 and 4 racing will begin at 4 p.m. There will be three Saturday evening programs, June 22, Aug. 10 and 24, with a 5:00 p.m. start time. A one-week break in the racing season will allow Canterbury to host Twin Cities Summer Jam, July 18 – 20. The three-day music festival will be held in the track infield. The company recently broke ground on Canterbury Commons, a multi-use redevelopment expected to attract more than $400 million in private investment while creating new and in-demand housing options and high-wage employment opportunities, as well as additional dining and entertainment venues. Total purses are anticipated to exceed $14.25 million in 2019, at approximately $215,000 per day, similar to 2018. A 2012 cooperative marketing and purse enhancement agreement reached with the Shakopee Mdewakanton Sioux Community, owners and operators of nearby Mystic Lake Casino Hotel, will supplement purses by $7.28 million. The agreement extends through 2022 with more than $83 million going toward purse supplements and joint marketing of the two properties and the region known as RiverSouth-Land of Big Fun. The 2019 stakes schedule will be released in January. Racing officials recently hired industry veteran Johnnie Jamison as track superintendent. A racing secretary is expected to be announced before the New Year. The promotional calendar, which includes several popular events such as Corgis & Cupcakes and Extreme Race Day, will be revealed in March. This entry was posted in The Biz and tagged canterbury commons, canterbury park, minnesota, Minnesota racing commission, quarter horse, Randy Sampson, thoroughbred by Press Release. Bookmark the permalink.